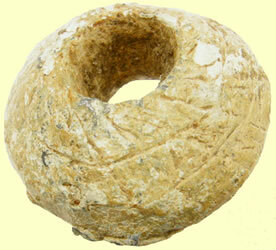 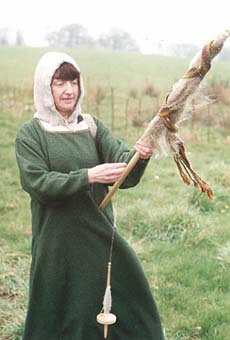 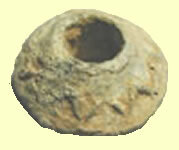 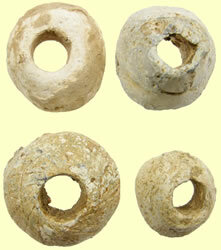 Spindle whorls were used as weights on a hand-held distaff or spinning stick. 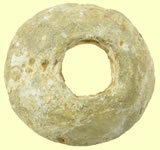 They are amongst the most common Medieval finds. 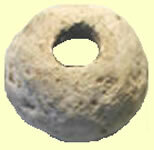 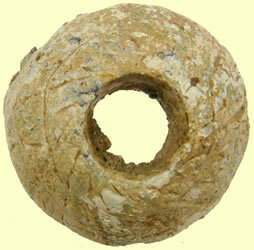 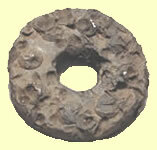 The majority of whorls were made from stone or recycled pot but some, like the example shown here, are cast lead. 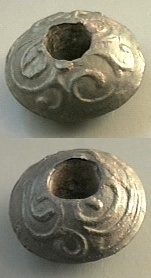 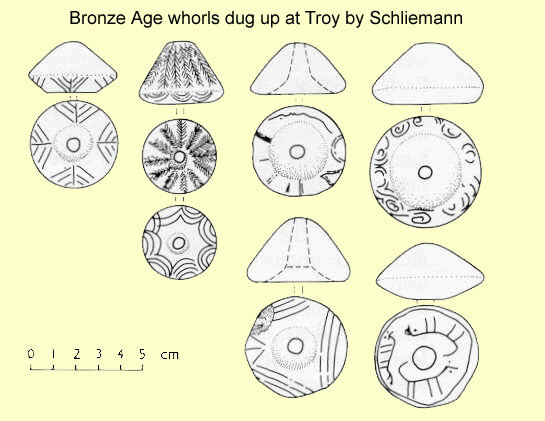 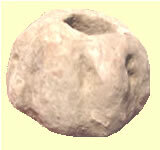 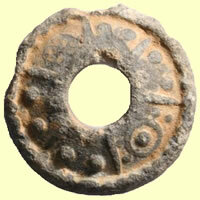 Metal whorls may have continued in use into the post-Medieval period. 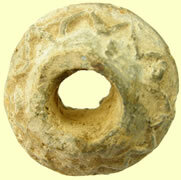 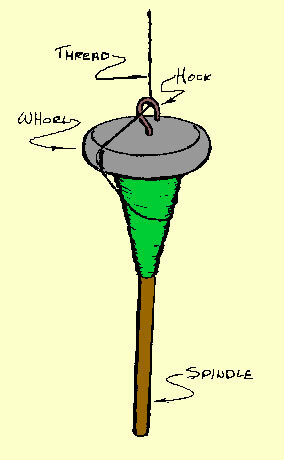 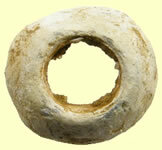 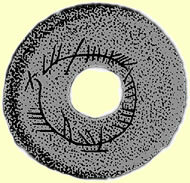 Lead spindle whorl, slightly domed, decorated on both faces with a pattern of raised rings and pellets with raised lines or bands. 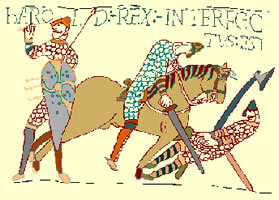 The outer edge is defined by a raised, fluted border.